Five days after beating Florida State, the Hokies opened their home schedule with a 62-17 victory over William & Mary. It’s easy to put things in cruise control against an FCS opponent on a short week, but I was impressed with what Virginia Tech did yesterday. They looked crisp offensively, and outside of one big play, the starting defense was dominant again. I was expecting a dominant defense against a William & Mary offense that isn’t very good. However, I wasn’t expecting such a sharp performance from the offense against a Tribe defense that is good for the FCS level, and which featured a lot of players with starting experience. However, the only unit that could stop the Tech offense in the first half was itself. 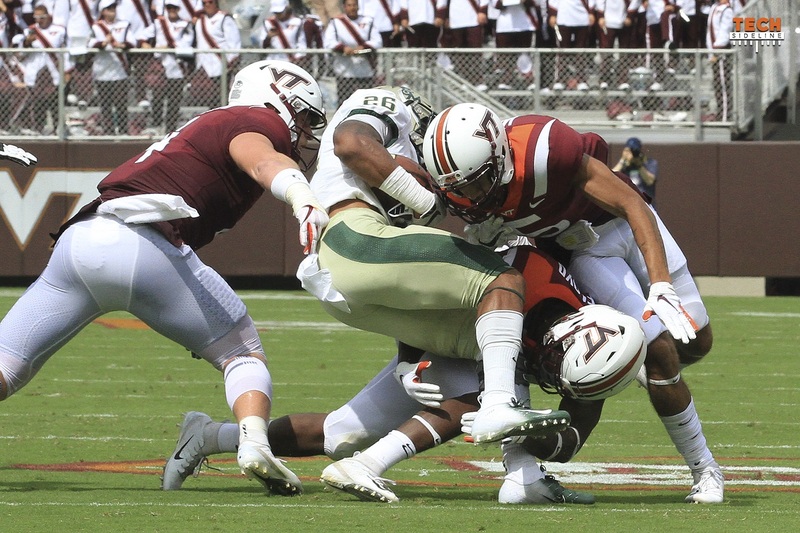 Deshawn McClease’s fumble on the first drive of the game was the only drive in the first half in which the Hokies didn’t score.